Boulder bred artist, Jack Saite channels Ancient Egyptian philosophies through his electronic music production under the moniker, Prince & Goddess. As the legend has it, Prince & Goddess is a royal descendant from Sais – an Ancient Egyptian city that the historian Herodotus, described as the “great city,” since it was the location of Osiris´s tomb, the Egyptian god of the afterlife. As you decode Saite´s music you will discover his songs tell a story of a Goddess who began to fall in love with a Prince but decided to try and destroy him rather than face punishment from the gods for being in love with a mortal. 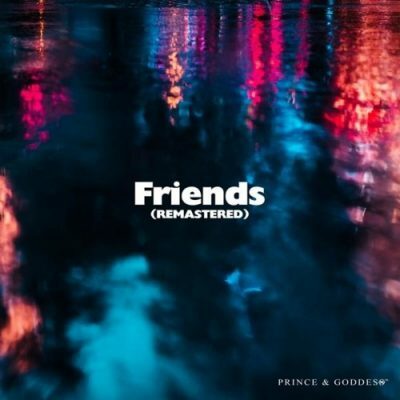 Recently, Prince & Goddess produced a dramatic pop and house music inspired single, “Friends”. We couldn’t be together, but she couldn’t help herself and neither could I. It was torture truly loving a Goddess that called me her experiment. At the turn of the New Year, Jack unleashed this spunky single titled, “Friends”, that shows off his electro house chops, a fierce shift from his lighter and refreshing pop singles like “Lose Ourselves“. Saite stretches his abilities by constructing “Friends” with a bass that drives deep and groove that grows throughout the track. It seems that as advanced as Ancient Egyptians were with technology, Prince & Goddess is with his technical music production excellence. His hypnotizing single “Friends” has the power to pull in crowds across a wide range of electronic music enthusiasts. Deep house heads will eat up the raw bass and swinging synths, electro house shufflers will be right on step and electro pop fans won’t be able to stop mimicking the infectious lyrics. The most recent chapter of this wicked love story is titled “Split Personality”. “Split Personality” is designed with a precise blend of electro, pop and house. This intimate single confronts the hardship of having a manipulative partner with confidence and strength. Essentially, Jack reminds us to not get played, stand tall and love yourself. As a preface to “Split Personality”, here is a quote from Prince & Goddess himself. Every day after the best day we’d share, the Goddess turned ice cold and made me feel I imagined everything. Jack confirms how dedicated and inspired he is toward his music, with multiple releases already out, and other projects coming very soon. Enjoy more of his discography through his Spotify and SoundCloud and show your love by following him on his social media handles linked below.